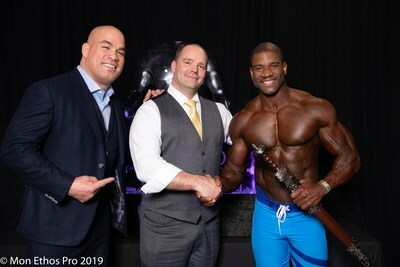 BOSTON, April 5, 2019 /PRNewswire/ -- On Saturday, March 30, 2019, athletes from around the world descended on Sacramento, California to compete in the 2019 IFBB/NPC Governors Cup bodybuilding competition hosted by Spectrum Fitness Productions. 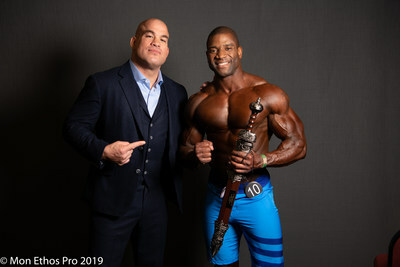 Mon Ethos Pro Athlete Xavisus Gayden won first place in the 2019 IFBB Governor's Cup Pro League event. "Xavisus has again shown us all what it takes to be number one; dedication, drive, effort. These are the qualities of a champion, and Xavisus exemplifies those qualities in everything that he does," says Mon Ethos Founder, David Whitaker. The Governor's Cup competition featured the world's top competitors in IFBB Pro League Bikini and IFBB Pro League Men's Physique divisions, along with NPC Bikini, Figure, Men's and Women's Physique, Classic Physique, and Men's Bodybuilding. Gayden, who is coached by Body By O, was extremely pleased with his performance, as was his sponsor, Evolife Apparel. "We are totally excited for Xavisus' big win at the Governor's Cup competition," says Evolife CEO Yuki Sorci. "He has been putting in the work, and it shows. Congratulations Xavisus!" Spectrum Fitness Productions is one of the leading IFBB Pro League event promotional companies for the past 33 years. Mon Ethos Pro is a Platinum Sponsor of all Spectrum Fitness Productions events and represents some of the top athletes competing in the sport today.